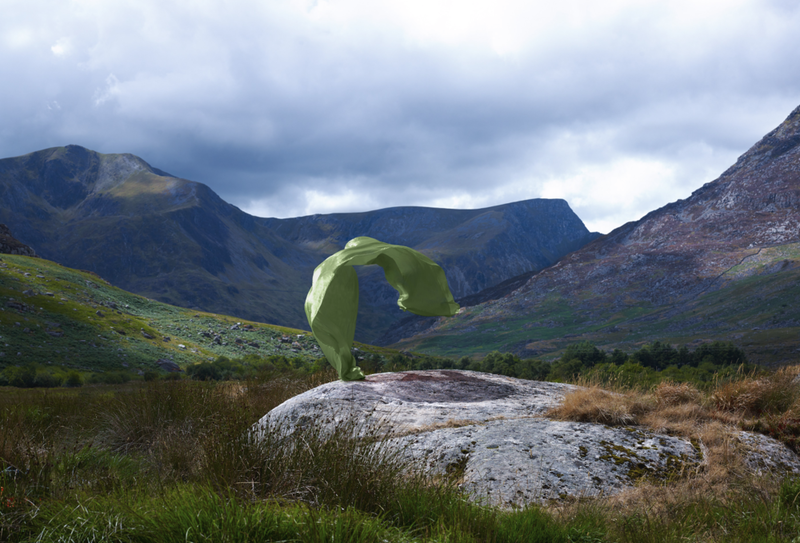 At first glance, the viewer may believe he is seeing a solid sculpture in the landscape. In reality, the image captures a fabric form in ‘mid-flight’. The sculpture exists for a split second in time; once photographed, it is otherwise lost forever, never to be re-created. I first produced this series in a studio environment. The permanence of this environment contrasted starkly against the transience of the moving forms. To create a greater sense of harmony, the images were shot within the natural environment.